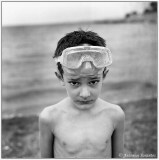 View Galleries : Antonis Sarantos has 21 galleries and 1176 images online. These pages have been viewed a total of 1863265 times. View Guestbook : 207 messages. Most recent on 03-Jan-2015.